Church Insurance Pensacola Florida – Let Us Tailor An Insurance Plan To You! 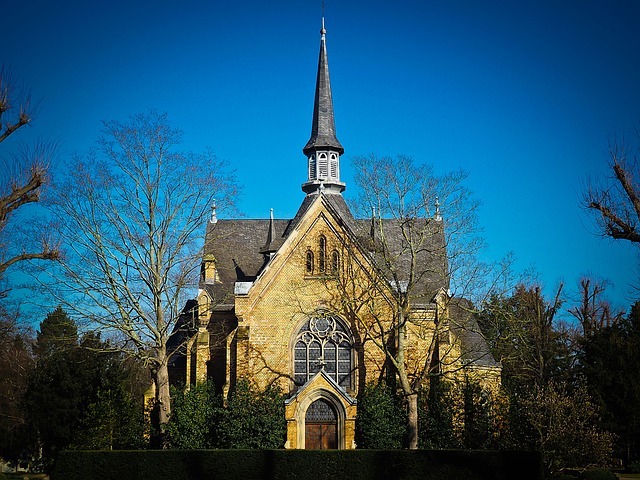 If you are in need of better options for Church Insurance in Pensacola Florida or the surrounding areas please contact Strong Tower Insurance today! At Strong Tower Insurance, we can shop the insurance marketplace to find a Florida Church Insurance Policy that is well suited to your specific needs. 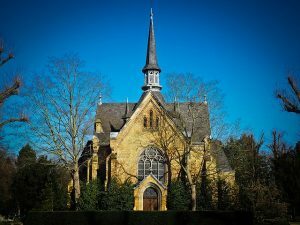 Strong Tower Insurance offers Church Insurance in Florida, Georgia, South Carolina, and North Carolina through a number of companies. To contact Strong Tower Insurance directly call 1-800-329-0093 at any time between the hours of 9:00 AM and 12:00 PM and 1:00 PM and 4:30 PM EST Monday through Friday. You can also reach us by clicking one of the links below to open up our convenient online rate quote request submission system. Please fill out the form based on your location, click the submit button, and a Strong Tower agent will get back to you very soon with Free Church Insurance Quotes. You may recall from part 1 of our series titled “Is This Covered By My Insurance?” that a hacker who goes by the moniker Crypto X stole a large amount of private digital information that belonged to XYZ Ministries parishioners and staff. The stolen data not only resulted in $350,000 in stolen funds from Church accounts, but now members’ identities have been stolen as well. On a Tuesday afternoon at around 2 PM lawsuit papers were filed against XYZ Ministries by Sandra Willard, now a former member of XYZ Ministries. Why is Sandra suing the Church? It so happened Sandra was in the process of purchasing a new home. She and her husband Craig have a child with another one on the way and have outgrown their current residence they purchased eight years ago. Before starting their search for a new home six months ago they obtained a pre-approval. With a FICO credit score of 767 for Sandra and 741 for her husband, they would easily qualify for the lowest interest rates available. They found their new dream home, made an offer, it was accepted, and they called their lender to start the loan process. The loan officer, a guy by the name of Steve Thomas, needed to rerun their credit. When the FICO scores came back a few moments later, Sandra’s score was 582 and Craig’s score was 577, with multiple late pays, collections, and high credit balance limits reported. Steve could not believe Sandra and Craig had been so irresponsible. He did not call Sandra back right away, trying to think of how to break the news that they will not qualify for a loan. After a few hours Sandra wondered why Steve had not called back so she placed a call and left a message on his voicemail. Steve returned Sandra’s call about 30 minutes later. “Well it looks like your credit score has dropped significantly below 750.” Steve replies. Sandra hangs up the phone after saying goodbye to Steve and calls Craig to let him know the bad news. They lose the opportunity to purchase their dream home and eventually Sandra and Craig learn their identity had been stolen, leading to the precipitous drop in the FICO credit score. Wow. What a terrible situation for Sandra and Craig. Unfortunately, identity theft is something that can impact anyone. In our next article we will learn whether or not XYZ Ministries’ business insurance policy will cover this lawsuit. Church Insurance Pensacola Florida – Request a Quote Around the Clock! Remember, you can request a free quote any time by clicking on Florida Church Insurance Quotes, or by calling 1-800-329-0093 Monday through Friday before 4:30 PM.